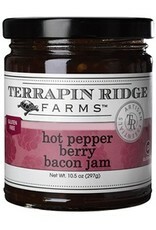 Hot Pepper Berry Bacon Jam - Miam! 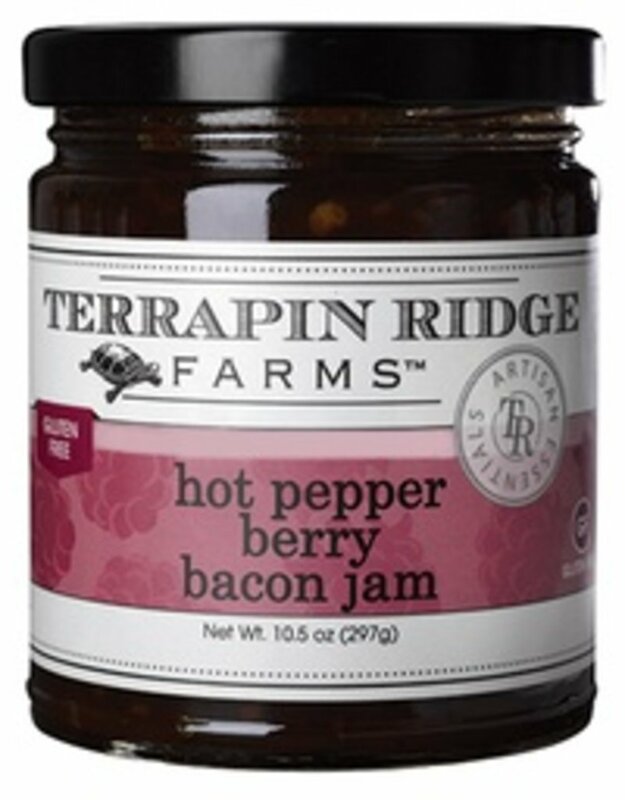 Sweet raspberries and strawberries are mixed with roasted red peppers and real bacon to create the perfect blend of sweet, spicy and smoky. This mouthwatering jam pairs splendidly with cheeses. Use as a marinade and finishing sauce for pork or poultry. For an incredible and easy appetizer, mix with cream cheese and serve with crackers. Gluten Free.